We’ve been seeing a rise in restaurants with the concept of ‘small plates’ or ‘sharing plates’ at the heart of the menus. The restaurants below are perfect for the indecisive folks among us with most recommending you order 2-4 items per person from the menu. Gone are the days of food monogamy! Serving tapas-style Indian dishes in a colonial-themed setting, Lokhandwala is one of the latest additions to London’s halal dining scene – a first from the team behind India’s biggest food festival, The Grub Fest which takes place in Mumbai. Once a pop-up but now a permanent site, Ceru is a contemporary Levantine restaurant in South Kensington serving dishes and drinks inspired by the flavours of the eastern Mediterranean coast. Initially a pop-up, Shackfuyu was so popular that the owners (Bone Daddies family) decided to make it permanent. Serving Yōshoku food – Western-inspired Japanese dishes, the relaxed setting and comfort food makes it a great place for a quick bite or a long dinner shared with friends. Serving regional Indian half-plates, Talli Joe is a casual all-day dining restaurant with dishes packed full of flavour. Their Black Gajar Halwa is a must-eat! Halal Status: All meat served is halal. Pork is served but cooked separately. Oliver Maki combines Japanese tradition with Mediterranean flavours and textures. A 30 seat restaurant and lounge, Oliver Maki presents its menu on an iPad where descriptions and translations are available at a tap of the screen making it accessible to those otherwise unfamiliar with Japanese ingredients. The Sushi Jewels selection comes in a five-storey transparent ‘jewel box’ filled with smoke that seeps out atmospherically as you open the drawers. Read our Gem Hunter review here. Scott Hallsworth’s Kurobuta is an inventive take on Japanese cuisine from the ex-Nobu Head Chef. Taking inspiration from the Izakayas of Japan, where tapas-style plates are served to accompany drinks in a casual setting. Originally a pop up, Kurobuta has been such a hit with diners who fell for the unique chilled out ambience and exceptional Japanese food, it’s now a permanent fixture in London’s Marble Arch and Chelsea’s Kings Road. A new addition to this post, Chai Naasto is an impressive Indian street food restaurant with sites in Hammersmith and Harrow. We visited the Hammersmith branch (read our full review here) and were blown away by the vast menu as well as the textures, taste and presentation of our dishes. Halal Status: All meat served is halal. Alcohol is available. A street food stall turned restaurant, Chit Chaat Chai was voted as ‘one to watch’ by the Halal Gems team in 2017. 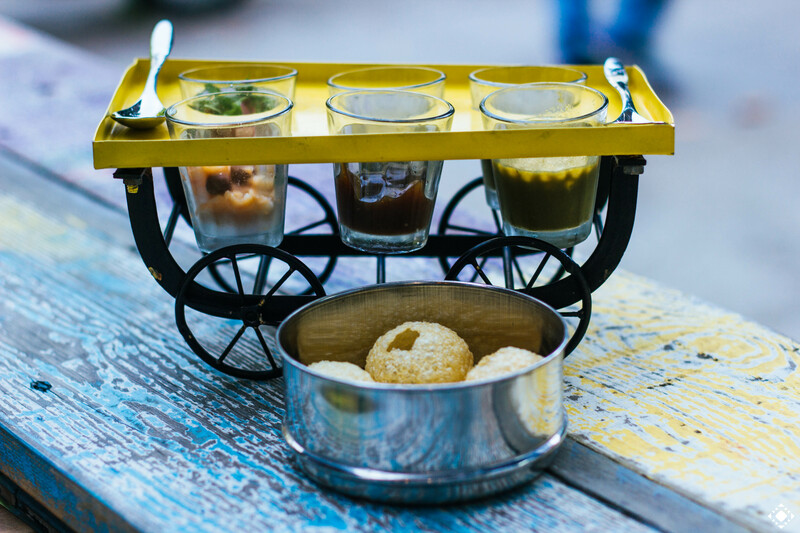 With a menu featuring a range of chaats, Chit Chaat Chai’s relaxed vibe, friendly service and great chai will make you want to come back for more!